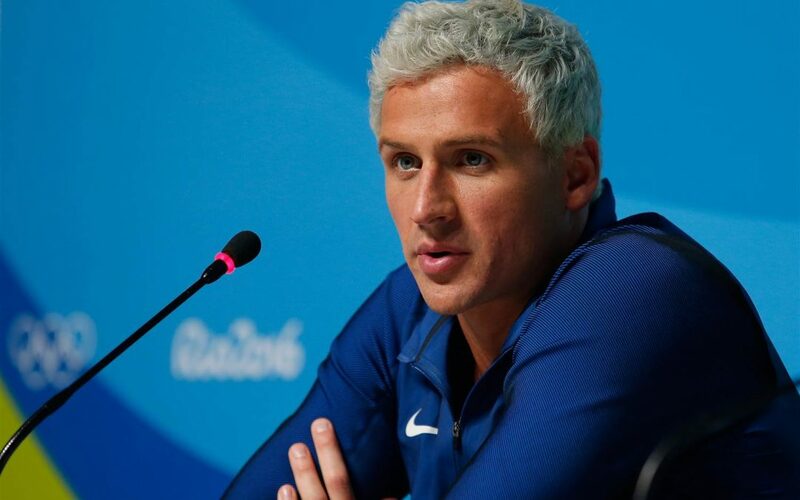 Twelve-time Olympic medalist, Ryan Steven Lochte, was living the dream; but after an unfortunate incident in Rio de Janeiro, he’s now living a nightmare. Being second in U.S. history behind Michael Phelps, the most highly acclaimed Olympic swimmer, Lochte had his life set. He had paid endorsements from a number of companies such as Ralph Lauren, Speedo USA, and Airweave just to name a few. He even has his own book entitled: Lochte: Hard-Core. Yes, life was good, that is, until earlier this month, Lochte and three other swimmers went out to party in Brazil’s capital city and ended up accused of vandalism and public urination by authorities. The initial account, as relayed by Lochte, seemed skewed; a gun pointed at his head and being robbed. After all, he was inebriated. However, the media, along with Rio police wasted no time in putting their “facts” together, which eventually branded Lochte and his friends as Ugly Americans. The real story of what happened came out this week in USA Today as told by fellow swimmer Jimmy Feigen. Basically, the foursome made a pit stop to use the men’s room at a Shell gas station; however, when the door did not open, the group went behind the facility and urinated. Feigen also stated that Lochte knocked down a poster. According to Feigen, there was no destruction to the gas station. Although some details were exaggerated by Lochte, it was true about a gun being pointed at the group and money being money being handed over, but not in the way it was described initially. In summary, this event has been a public relations disaster for Lochte. To date, he has lost four of his main sponsors. In addition, some critics have called for him to be barred from Olympic swimming in the future. Although Lochte apologized during an interview with NBC’s Matt Lauer during the Olympic Games, the damage to his career has been done. Tearfully he said, “I let the team down.” As hard as it was for him to admit to being immature and letting his teammates down, it was hard for the American public to watch Lochte be humbled in front of the whole world. After all, he is considered a swimming hero much like Michael Phelps. Truly, words can make or break someone’s career, especially in this digital age. For instance, a life-long career can be over in a matter of minutes by misreporting or stupidity on the part of an individual. Likewise, the contrast also holds true: if one gives a stellar athletic performance or writes a hit song, it could go viral, and thus the person becomes an overnight sensation. Like a stone being thrown into a clear lake, the type of stone used will determine the kind of reverberations that leave the epicenter. For example, if a news report or “rock” is a diamond, the person is considered a winner; however, if the “rock” is a piece of limestone, the person is deemed a loser, as limestone sinks. What does the future hold for Lochte? It appears that all is not lost. Yesterday, USA Today reported new details of the account which indicate that Lochte may have been misjudged. It also stated that Lochte will appear on Dancing with the Stars, and that he has picked up a new sponsor. Can Lochte survive the bad dream? Time will tell. In conclusion, perhaps the “court of public opinion” judged to quickly on this one. Just because “news” comes in an instant via social media, etc., does not mean that it is fair and balanced. It is better to give someone the benefit of the doubt until all the facts come in; otherwise, it can ruin a lifelong dream, not only for the individual, but for his or her family and beyond.